While detailing her experience surviving two brain aneurysms, Emilia Clarke — star of HBO’s Game of Thrones — explained that her first aneurysm felt like an elastic band squeezing her brain. She also said some of her brain “died” after the second incidence, which came years later after shooting the show’s third season. Ms. Clarke’s ordeal is familiar for some. Two to four percent of the US population will suffer from a brain aneurysm at some point in their lifetime. Twenty-percent of those will endure multiple aneurysms, making it essential to screen for additional aneurysms when treating the first. Here’s what you need to know about the cerebrovascular condition. A third of patients die or will be disabled, even if the aneurysm is treated. These individuals eventually succumb to the initial injury. A third have their lives altered. They are walking, but have cognitive impairments and other issues, failing to resume their previous lives. A third resume life without hindrance. Ms. Clarke is in the latter category, having been able to continue her daily life with no visible deficit. Aneurysms are emergent conditions. Each case varies, and treatment depends on whether the aneurysm ruptured, when it did and how quickly it was treated. Patients can be operated on early — somewhere within the first four days of the hemorrhage — or within 12-14 days. In some cases, it makes sense to wait because the brain can be irritated and swollen, minimizing surgical access. Waiting allows the brain to relax and swelling to reduce. 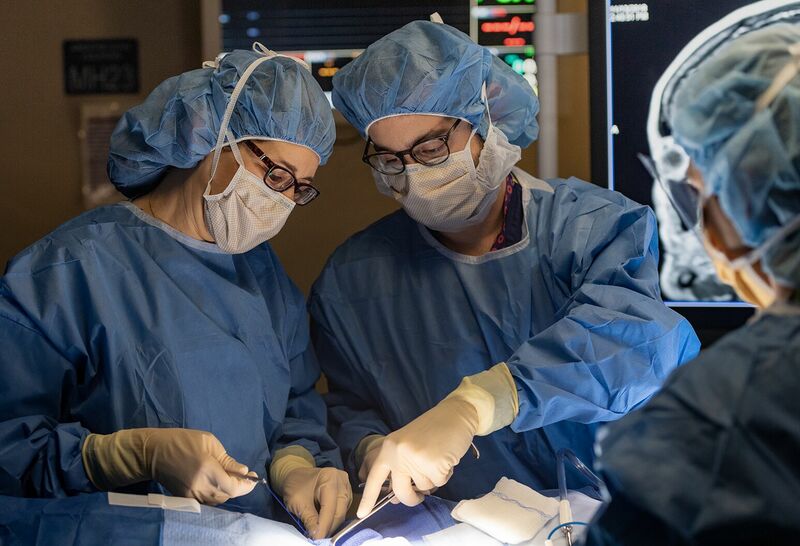 Today, 90-95 percent of people are treated for the initial rupture within the first 24 hours to ensure the aneurysm is secure and to prevent re-rupturing. This also reduces the risk of having an ischemic deficit and potential stroke. For those who do have subarachnoid hemorrhage, it’s best to treat all aneurysms within the first few months while monitoring their recovery and quality of life. Aneurysm treatments include endovascular coiling, clipping, embolization, stenting and cerebral bypass. Clipping, which first began in 1931, is the traditional method, where neurosurgeons navigate through the skull and base of the brain, using a metal clip to pinch the aneurysm like you would a water balloon. Surgical clips are considered a complete fix if you get the entire aneurysm. Endovascular coiling places a tiny tube in the aneurysm and fills it with coils, which are made out of platinum and tungsten. Recurrence rates were initially about 30 percent after coiling was approved in 1995 because the coils would compact, which would then need clipping or additional coils. The technology has since improved and recurrence rates have dropped. The advent of stents in 2002 brought another means to resume blood flow blocked by the aneurysm. But last year, the FDA warned some patients had major comorbidities linked to lower life expectancy or couldn’t tolerate the anticoagulants or antiplatelets required. Stents also can’t be used to treat subarachnoid hemorrhage. Subarachnoid hemorrhage can also lead to cerebral vasospasms, where the blood vessels begin to contract and narrow in the space between the brain and skull. This can restrict blood flow and cause strokes and delays, as well as other neurological deficits. Cerebral vasospasms typically begin four days after the initial hemorrhage, peak between days seven and nine, and are resolved around 12-14 days. Symptoms include fever, confusion, speech difficulty and neck stiffness. Unfortunately, there are no warning signs of aneurysms, but they are more common in women. People who smoke, as well as those with polycystic kidney disease and Marfan syndrome are also more susceptible. Quit smoking. This is the No. 1 action item you can take to reduce risk. Also, follow your family history. According to the Familial Intracranial Aneurysm Study by the National Institutes of Health, you have a 17-20 percent chance of having a brain aneurysm if your sibling had one. Those patients should be screened because the risk of rupture is significantly higher. Because incidence is relatively low, we don’t generally recommend screening. The only way to detect an aneurysm is with some form of vascular imaging — cerebral angiography (can increase the risk of stroke), CT angiography (contrast may hurt kidneys) and MR angiography (noninvasive, best approach, yet expensive). 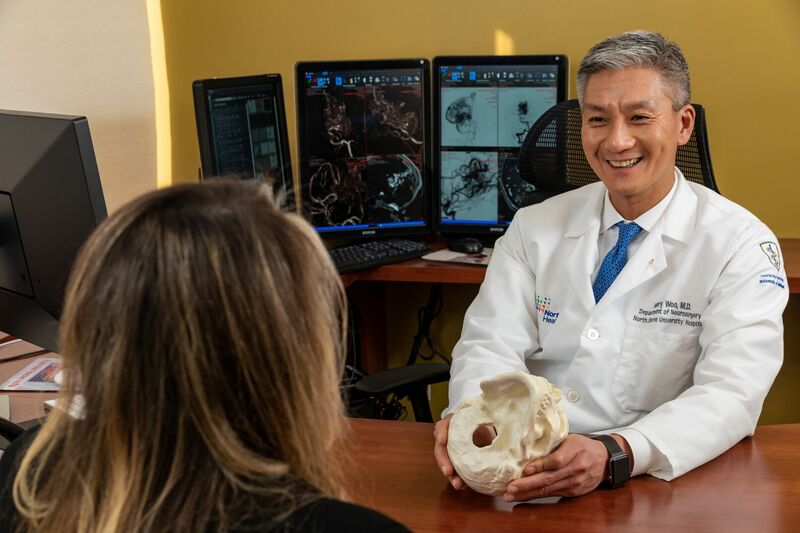 Henry Woo, MD, is a neurosurgeon at Northwell’s Institute for Neurology and Neurosurgery. He specializes in cerebrovascular surgery, the endovascular treatment of cerebral aneurysms, interventional radiology, neuroradiology, stenting of carotid artery stenosis, stroke and subarachnoid hemorrhage. 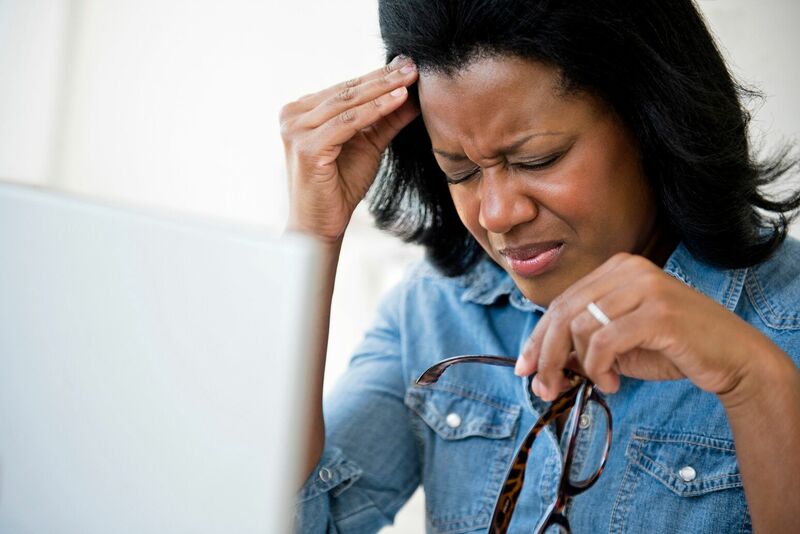 Migraines and aneurysms: What’s the difference? People commonly mistake migraines for aneurysms. Learn the differences and what you should do when warning signs emerge.